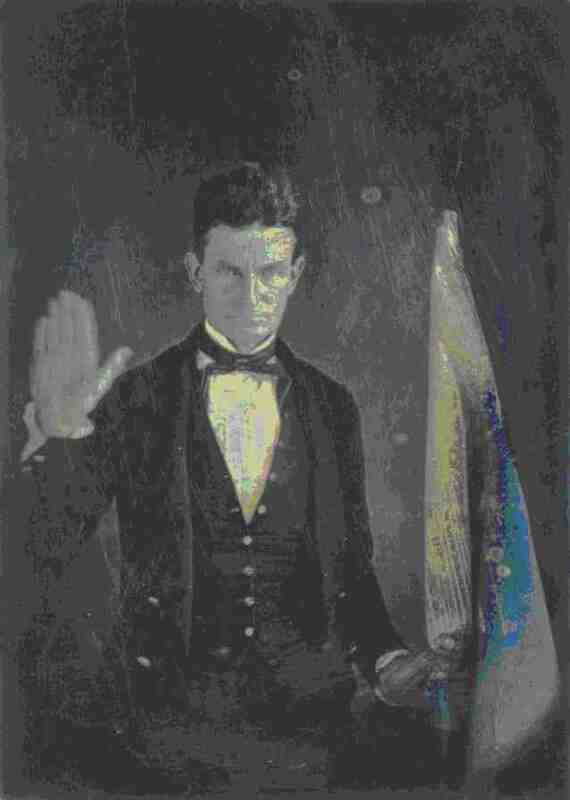 On July 3, 1859, infamous abolitionist John Brown, sons, Owen and Oliver and Brown’s trusty Lieutenant, Jeremiah Anderson arrived by train at Sandy Hook, Maryland.–a small village about one mile beyond Harpers Ferry on the Maryland side of the Potomac River. 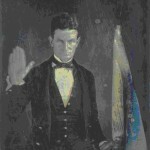 At this point in his life Brown was a “wanted man” with a large price on his head for his activities in the Kansas Territory. The four men presented themselves as Issac Smith & Sons, cattlemen from New York. 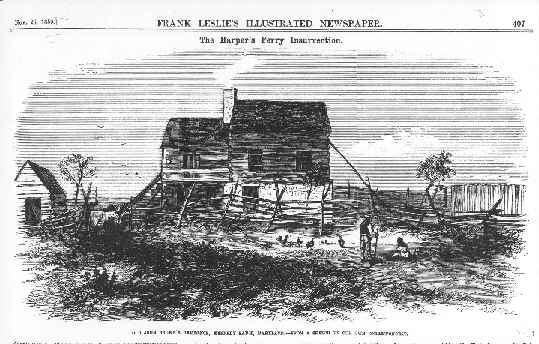 They sought a small farm to serve as a feeding lot for the cattle they intended to purchase and fatten–in fact they were searching for a “staging area” for their intended raid on the federal arsenal at Harpers Ferry, Virginia. John Unseld, a resident of the neighborhood, suggested the old Kennedy farm. Doctor Kennedy had died earlier that spring and the farmhouse was vacant and unfurnished. Brown and his followers went to the farm and liking what they saw leased the place for $35 in gold for nine months to come. 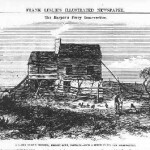 Following the occupation of the house, “Issac Smith” sent home for Mrs. “Smith” to come down to give the appearance of a family at the Kennedy Farm. She was much too busy at home-blessed what he was about to do and sent daughter-in-law Martha, Oliver’s 17 year old wife and her 16 year old daughter Annie Brown. Annie and Martha served as the cook and housekeepers for the Provisional Army of the United States as they arrived, one or two at a time throughout the summer months. By the end of summer there were twenty-one members of the army hidden in the attic loft and the girls were sent home. As the October raid became eminent the army now thoroughly trained and armed by Anderson was prepared to attack the Harpers Ferry arsenal. Brown and his followers spent some 3 1/2 months at Kennedy Farm in the summer of 1859.